Why must the Kurds be recognized as the followers of cult leaders? The death of the Gorran leader Nawshirwan Mustafa reminds me of Kurdish people's culture of weakness since the defeat of Sassanid Kurdish Empire by the African Arabs' Islamic army. Nawshirwan Mustafa started his career as the loyal servant and cult member of unstable Kurdish leader by the name of Jalal Talabani (former Iranian president Hashemi Rafsanjani called him (Talabani) a political prostitute). Also, he split from him but never developed to be strong opposition to Jalal Talabani. He passed away, and a large number of his followers want to appoint one of his sons as his replacement in a similar way what they have done for Mullah Mustafa Barzani and Jalal Talabani. Kurdish people have another bad habit besides appointment of the leader's son is glorifying death people than the one in life. 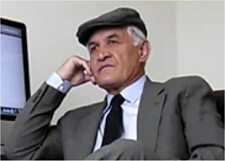 Nawshirwan Mustafa lived his life and passed away like other people. His accomplishment is zero for Kurds. Kurds in South Kurdistan is controlled by two main mafia families known as Barzani and Talabani plus many other minor families like Hama Haji Mahmood, Islamic brotherhood Salahaddin Bahadin, Ali Baper Kurdish Islamic leader, Gorran's Nawshirwan Mustafa and others. Kurdish people must get out of this cycle and develop independent personalities based on Kurdish leader Abdullah Ocalan teaching philosophies who is calling on Kurds to be independent. The man has enslaved the women for thousand of years, PKK is teaching the female guerrilla fighters to learn to be independent. And Persian of Tamil, Arabs of Africa and Turks of Mongolia have enslaved Kurdish people in last 2500 years. It is time for Kurdish individual to develop to be independent. Kurds must learn to love Kurdistan instead of leaders. Kurds must follow economic system that serves them equally instead of glorifying Kurdish personalities like Barzani and Talabani kinds. Enough for suffering be independent and speak out for your right and right of your people to have an independent country for all Kurds. As long as you are following your selfish interests, you are never going to be free from others be Kurdish leaders or occupiers of Kurdistan who enslaved you through religious and political teaching or by force. Say long live for Kurdistan the motherland that feeds you and your families. Bow to those who are giving his or her life for your freedom so you can live in Kurdistan in peace. 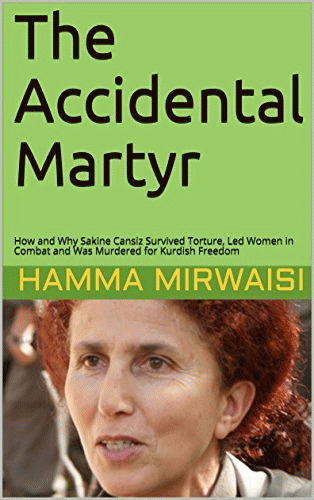 Let us learn the lesson from Kurdish people heroine Sakine Cansiz who went through terrible life for your freedom.